Killers of the Flower Moon: Oil, Money, Murder and the Birth of the FBI. By David Grann, Doubleday, 2017, 352 pp. History books tell us that the 1890 Wounded Knee Massacre and the slaughter of at least 150 Indians* was the final episode in the wars between Native Americans and whites. Perhaps we should revise the texts to take into account the “Reign of Terror” against the Osages in Oklahoma in which as many as sixty Osages were murdered between 1921 and 1925. 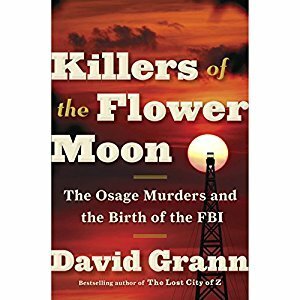 David Grann’s new book on the subject reads like a detective novel but, alas, everything in it really happened. 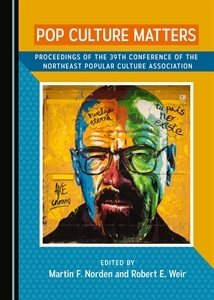 Grann focuses on the extended Lizzie Kyle family to spin his tale of how history collided with ethnicity, paternalism, and greed. The 1830 Indian Removal Act—of which the Trail of Tears was a tragic subchapter—reserved much of modern-day Oklahoma as Indian Territory, a vast repository for conquered Indians. The Osages were confined there in the 1870s, after ceding lands in Arkansas and Kansas. The 1887 Dawes Act allowed Indians to own land as individuals and, six years later, the government opened non-reservation land to land-hungry whites. By 1900, whites dominated the territorial government, but few gave heed to a 1906 act giving the Osages, as a tribe, ownership of underground minerals. The next year Oklahoma entered the Union as the 46th state, with whites and Indians living side-by-side. Partial Osage assimilation occurred through intermarriage, forced schooling of children, and chosen adoption of white culture. In 1917, oil was discovered in Oklahoma, an event that coincided with the takeoff period for automobiles. Suddenly, the Osages were the richest people in the United States. In 1923 alone, the Osages collected royalties on the magnitude of $400 million (2016 value). Intermarriage rates soared and some Osages engaged in ostentatious displays of wealth. Several reportedly purchased new automobiles, to use as makeshift hothouses as their owners didn’t drive. More controversially, numerous whites found themselves working for Osage masters. Alas, the same act that made the Osages wealthy also led their downfall. Each Osage property owner got a “headright” based on the amount of land owned, but the U.S. government could hold royalties in trust, and the bill ominously stipulated the right of non-Osages to inherit headrights. Grann unveils a tale of fraud in which real and mythical cases of conspicuous consumption justified placing Osages under a 1921 white guardianship law requiring Osages to “prove” their competency; until then, guardians doled out royalties like a teenager’s allowance. Some, such as William Hale, the “King of Osage Hills” and a perceived friend of the Osages, persuaded male relatives to take Osage wives and act as their guardians. Hale’s nephew, Ernest Burkhart, married Lizzie Kyle’s daughter, Mollie—who lost much of her family to oil greed. In quick order, Mollie lost her sister Anna, her cousins Charles Whitehorn and Henry Roan Horse, her mother, and—in a massive explosion— her sister Rita, her husband, and their white housekeeper. Grann presents the violence as a veritable war against the Osages waged by whites that lusted after oil wealth and felt it was their race privilege to possess it. That oil and murder were linked was fairly obvious, but untangling a multi-stranded web was another matter. Local detective James Monroe Pyle sided with his Osage neighbors, but the investigative powers of Bureau of Investigation (BOI) agent John Wren proved invaluable. Wren was often too undisciplined and independent for his superiors, but he was half Ute and an able investigator. To the degree in which the cases were ever solved, Wren and Pyle get the credit. One of Wren’s supporters was J. Edgar Hoover. The Osage murders were instrumental in Hoover’s plan to evolve the BOI into the nation’s primary law enforcement agency, which occurred in 1935 when it became the Federal Bureau of Investigation. Grann’s book has it all: mystery, graft, poison, nitroglycerin, crooked lawyers, and wolves in lambs’ clothing. The pity is that it’s a non-fiction book. Indians became U. S. citizens in 1924 and a year later, the Osage Allotment Act was amended to disallow non-Osages from inheriting headrights. Not that it did the Kyle family much good. Grann’s book puts a punctuation mark to the sad saga of how the West became white. Read the book now, as it has been optioned for a movie that promises to be a more accurate look at history than the fanciful 1959 film The FBI Story. ← What if Vietnam is Who We Are? Thank You for the commentary at the end *Contrary to the perceptions… I’ve been telling people that for decades. Roughly 80% of my family live on the Rez and they refer to themselves as ‘Indian’ or the ‘People’, ‘Nation’. As far as I’m concerned, if you were born here, your Native American. Mary K a/k/a the displaced Apache in PA.